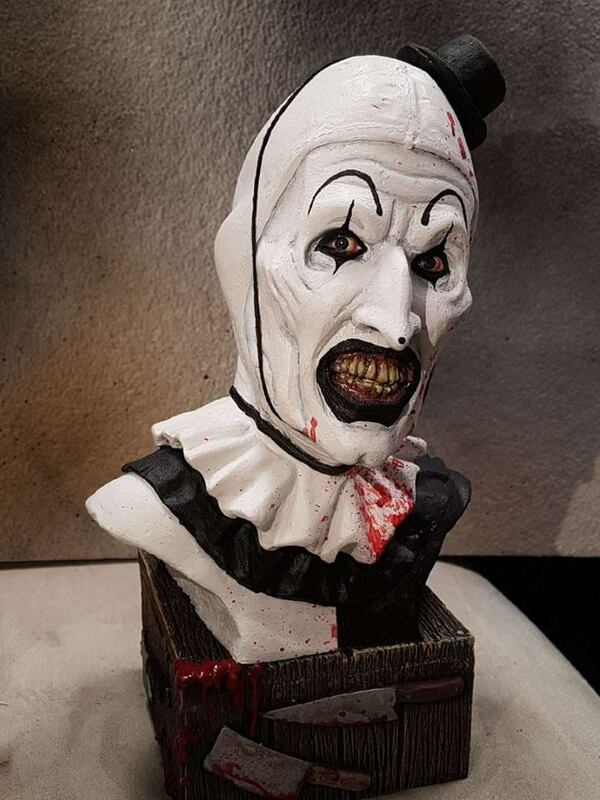 In case you missed it, TERRIFIER is the 2018 horror film directed by Damien Leone and starring David Howard Thornton in one of the creepiest clown roles in memory. The movie follows a handful of young women who get on the bad side of the maniacal, mute clown known as Art and who pay with their blood and guts. 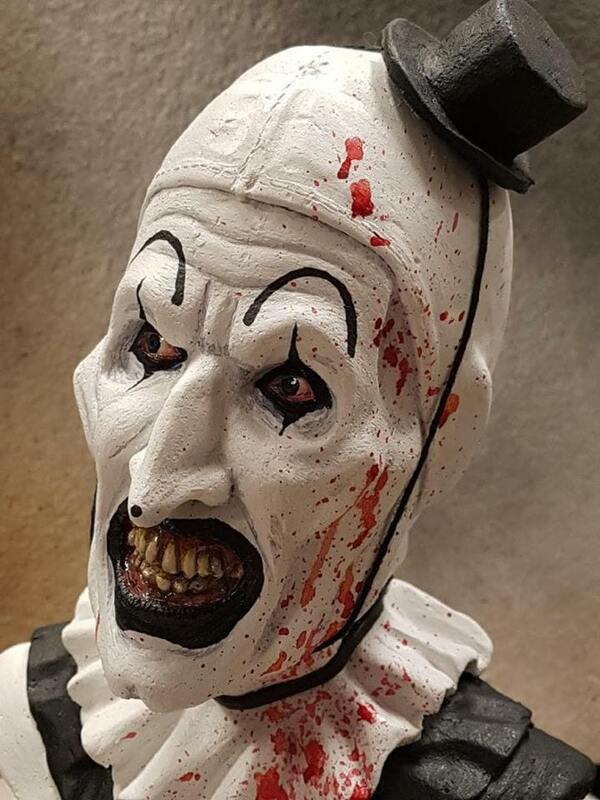 Now Ravenous EFX is giving you a chance to own a little piece of Art (the clown, that is) with their 1/3 scale ART THE CLOWN FAN ART STATUE. 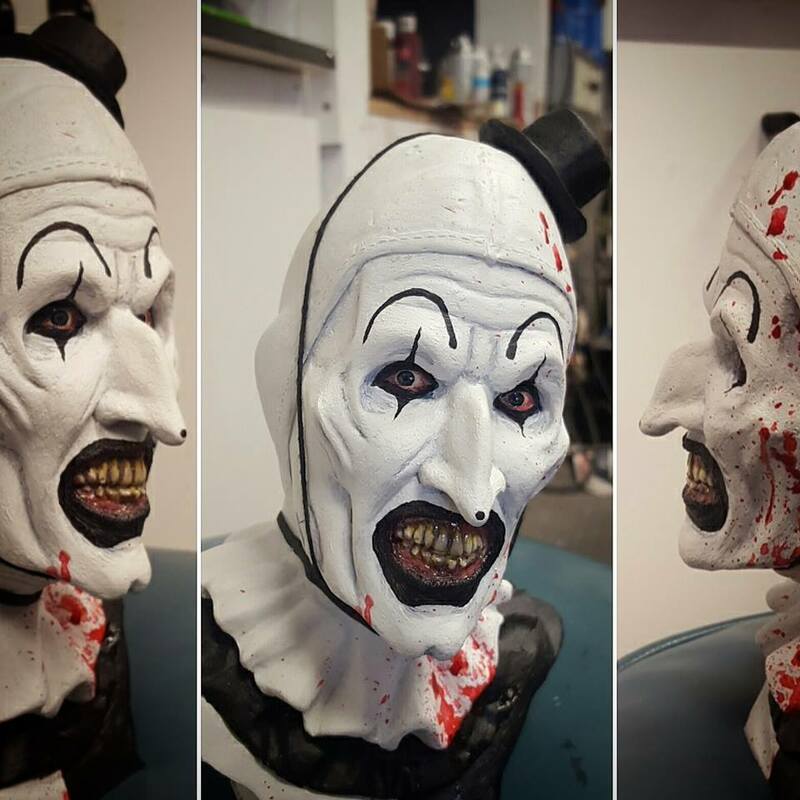 Sculpted by Travis Shewchuk, this scary solid resin bust stands 10 inches tall and is completely hand painted and finished. Find more busts and art available from Ravenous EFX and Terry Shewchuk on social media, but be careful as “Art” never sleeps! Price: $155 USD/$200 CDN plus exact shipping.